Over the past few years, I've been racking up the scars: matching marks on both of my knees from a fall playing soccer, two patches on my elbow from another game, and, most recently, three dark marks on my face after I hit my head on vacation. Two years after my tumble on the soccer field, my knee scars are dark, defined, and struck a sharp contrast with my fair skin. What could I have done differently to stop the deep scratches from scaring? Or better yet, how can I fade them now? To learn more about scars, I met with Dr. Harold Lancer, Beverly Hills dermatologist to half of Hollywood: Oprah Winfrey, Kim Kardashian, Ellen DeGeneres, Victoria Beckham, and Julianne Hough are all patients. Dr. Lancer treated my scars (read about my experience below) and answered 12 of the most important questions about scars, from the best at-home options to what to expect at your own dermatologist’s office if you seek professional treatment. "I spend most of my day dealing with scars," Dr. Lancer told me. "Whether they’re from traumatic injuries or elective surgeries like a breast lift, they bother everyone." Scarring is a complicated topic with countless treatment paths. "I was burned as a child, which is why I got started in dermatology and why I have such a tremendous interest in scars," he says. "Improving a scar is truly an art form." The art project that was my scars included texture in need of smoothing and dark pigment that needed to be lightened. I started with a regimen of topical products: "It’s important to prime the scar before you start any other treatment," Dr. Lancer says. "You want to treat scars slowly." After a round of microdermabrasion, I started a routine of Dr. Lancer’s own products: daily Polish Scrub ($75) for physical exfoliation, a prescription cream rich in glycolic acid for chemical exfoliation, and a prescription hydrocortisone cream to prevent irritation. After six weeks, my scars had faded slightly and become smoother, a perfect canvas for laser therapy. This included a variety of strengths of Q-Switched and Pixel lasers. We’ve talked about this before, but a laser works by disrupting the skin, prompting it to regenerate itself. While not unbearable, the treatment was painful. It was a hot, sharp, and severe burning feeling, similar to touching a hot baking dish, but more fleeting. After the laser treatment, my skin was tender, red, and slightly inflamed in a pinprick pattern for about 24 hours. "The care after your treatment is as important as the treatment itself," Dr. Lancer warned me. The goal of the post-treatment is simple: Don't let scabs form. 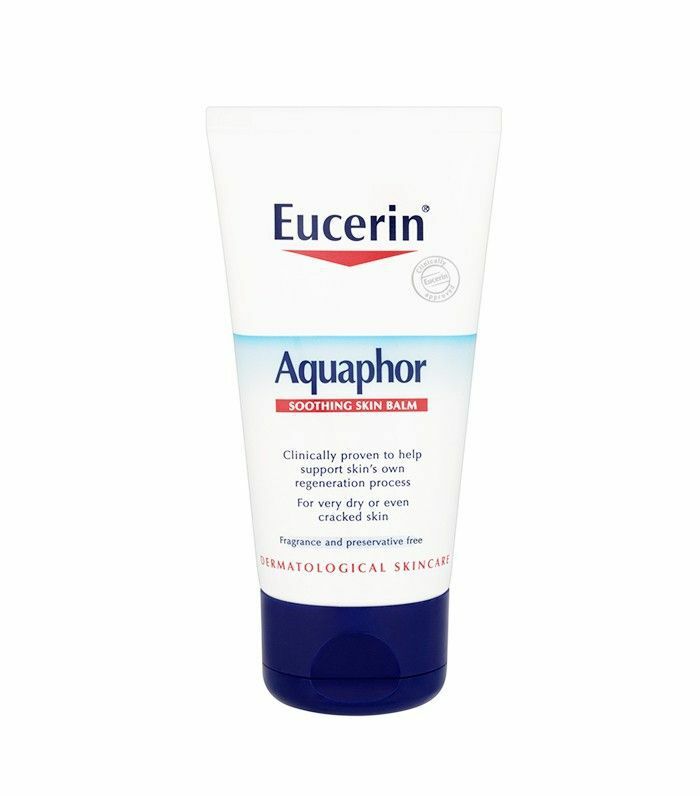 A thick layer of Aquaphor keeps the skin moist, providing the ultimate environment for skin to heal itself. And the downtime? For about five days, the treated areas looked like red, open burns. Letting a wound heal without letting it scab over is a commitment, to say the least. I had to keep the area covered in Aquaphor and stay out of the sun. Once healed, my scars were much lighter and very smooth. The first round of lasers successfully treated my scar's damaged texture and, much to my excitement, I didn't need another round. Instead, the remaining darkness was treated with a strong retinol. "Using a laser again may depress the skin,” Dr. Lancer says. "It's not worth the risk." Six months after I started this process my facial scars are about 80% gone, and the ones on my body are significantly better. Was it worth it? One hundred percent yes. Let's say you scrape or cut yourself… What can you do right away to prevent it from scarring later? "A bee sting, a cut, a fall—whatever it is, put some grease on it right away, like Aquaphor ($5)," Dr. Lancer says. "It protects it and prevents dehydration, which starts the healing mechanism. Skin starts to heal itself when it has water pressure." How should you clean a wound to prevent scarring? Alcohol? Hydrogen peroxide? "I wouldn't do any of that; hydrogen peroxide destroys tissue, and it's a free-radical generator. Alcohol makes cells blow up," Dr. Lancer says. 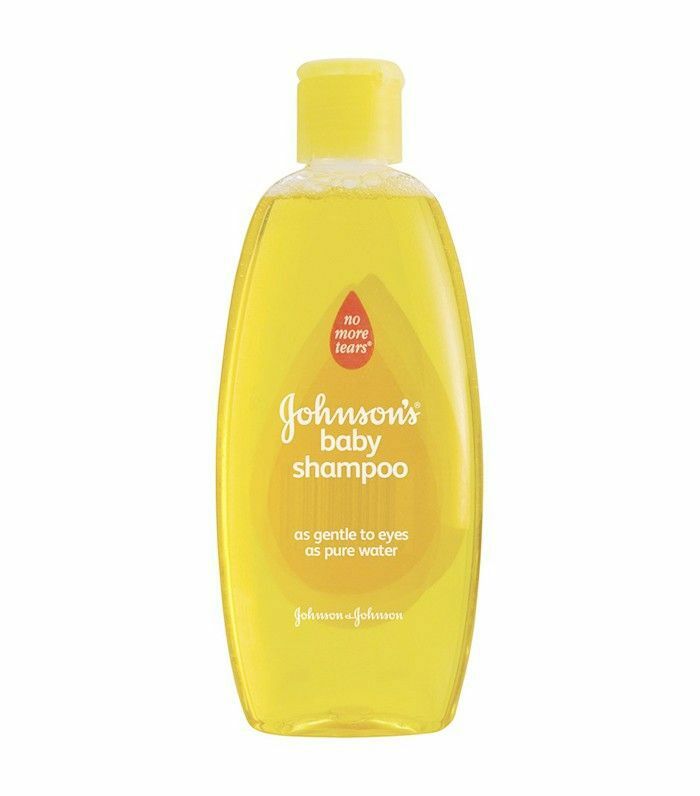 "You want to use water and some sort of mild non-soap detergent, like baby shampoo." Dr. Lancer suggests cleaning the wound twice a day, then applying a thick layer of Aquaphor. If it's more than just a surface scrape, he suggests visiting your doctor. "They will clean it properly and maybe start some sort of pressure dressing to prevent raised scars, if needed," he says. We all know the sun makes scars worse, but how do you protect a wound from the sun if you can't use a bandage while it's healing? "Use a thin layer of Aquaphor; then apply zinc oxide on top of it," Dr. Lancer says. I've heard it's best to treat a scar within the first eight weeks of healing. Is that true? "The sooner the better. Within the first eight weeks is good; if it's within the first several days, it's even better," Dr. Lancer says. "For example, if you have a breast-lift scar that's large, the minute that you take the stitches out, you want to start treating it." "The best thing to do at home is to use sunblock to prevent the discoloration from getting worse," Dr. Lancer says. "You can use an over-the-counter retinol, or an acid—like citric, salicylic, or azelaic acid—to exfoliate and fade the scar as well." 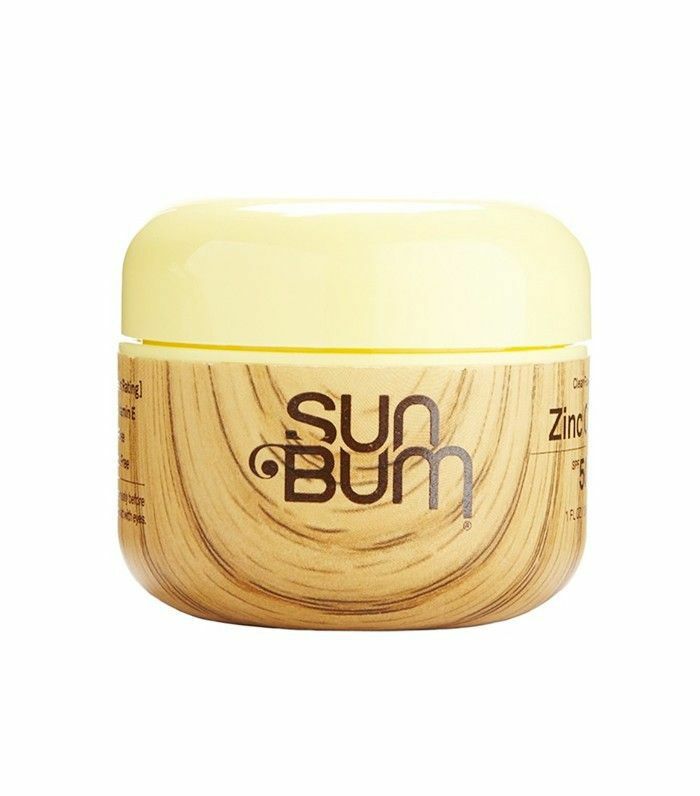 These ingredients work by regenerating the skin, lightening, and gently exfoliating. What can a dermatologist do about a pigment-only scar? "Medical-grade hydroquinone, sometimes combined with a low-intensity corticosteroid or medical-grade vitamin C or glycolic acid, can be prescribed," Dr. Lancer says. "There's always a medical therapy that's of a topical nature." When the topical products have done all they can do, a dermatologist may suggest a chemical peel or light-based non-laser treatments (like a session of IPL therapy). What is the best treatment for an indented scar? “At home, you can try a product that irritates the area, like something with a higher concentration of salicylic acid or a mixture of vitamins C, A, and B complex,” Dr. Lancer says. “Sometimes if you inflame a depressed, indented scar, the body will make its own collagen to repair it." If this doesn't get you the results you're looking for, you can visit your dermatologist for an injection. 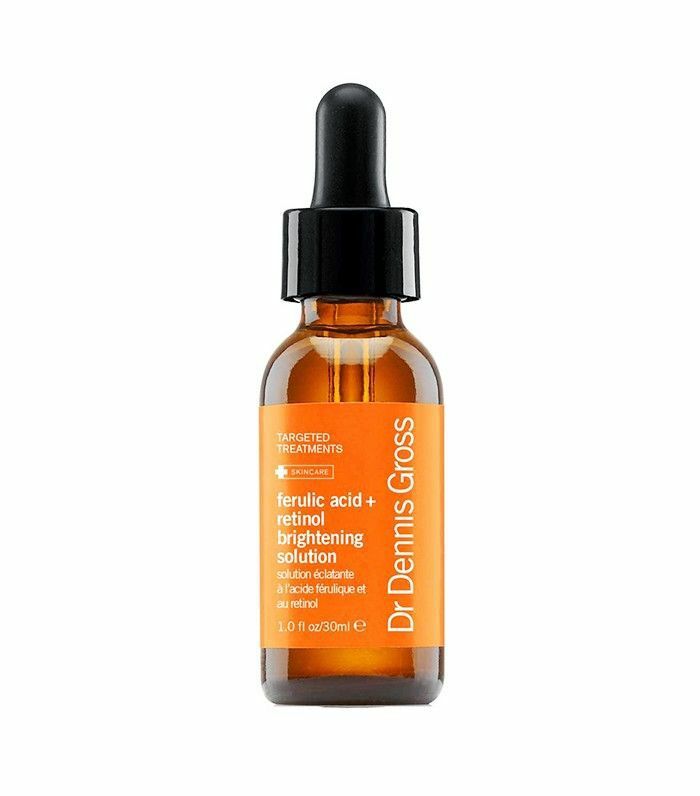 Try Peter Thomas Roth’s 40% Triple Acid Peel ($88). 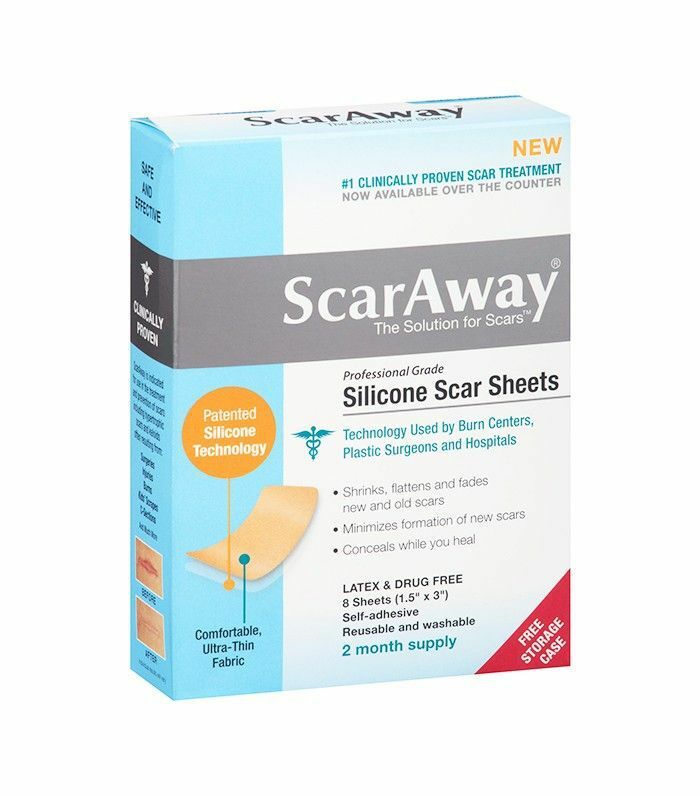 How do over-the-counter scar gels work? "Whether they have silicone, onion, or garlic extract, these gels can help by reducing water evaporation from the skin," Dr. Lancer says. "When skin is incredibly hydrated, it can repair itself easier." Aquaphor and Vaseline do the same job, Dr. Lancer says, but the beauty of gel formulas like Mederma's Scar Reducing Gel ($20) or SkinMedica’s Scar Recovery Gel ($98) is convenience: They won't rub off on your clothes! How do you prevent a raised scar from forming? "A hypertrophic scar is a scar that forms within the first year of an injury that is flaming pink, raised, and active," Dr. Lancer says. "When they mature, they're called keyloid scars. They're both treated the same way." The trick, he says, is keeping pressure on the injury to prevent it from rising. "Some people have been known to put duct tape on a scar, or you can use some sort of scar sheet," Dr. Lancer says. Is there anything you can do to treat a keyloid scar after it forms? Yes, Dr. Lancer says. Your dermatologist will normally pretreat the scar with a retinoic acid or medical-grade vitamin C for two to six weeks, and then use one of many lasers to "metabolically cripple" the scar, i.e. cut off the oxygen and blood flow. "Immediately after it's lasered, we can inject it with a scar-reducing chemical agent," he says. What's the most important thing to know when you're ready to see a dermatologist for scar treatment? "It's important to realize that scars are normally treated in numerous sessions. They are hardly ever treated in one visit," Dr. Lancer says. Your first professional treatment will probably be a topical product to soften and fade the scar, and the second treatment—about four to six weeks later is ideal, Dr. Lancer says—could be the same or it could be different. "A scar is one thing today, and six weeks from now, it will be a different scar, so the approach to treatment should be different," he says. Some doctors will inject a pimple with cortisone to make it go away faster, but I've heard that actually creates a scar. Is that true? "Yes, it can," Dr. Lancer says. "That's why it's best to have it injected by someone who does that kind of thing all day long, or else you'll get a dent." Next up, check out this filler that hide scars in a flash.